How Far is Kolosus Green City? Kolosus Green City a new addition of Luxury Homes and Symbol of Architectural Masterpiece, which is developed by Lebberty Promoters and Builders in Pune at Pimpri Chinchwad locality, a place which is crafted to full fill all the needs of the occupants, Green concepts have smartly merged in this project where you can spend quality time with your family and friends, you can have a lifestyle which rejuvenates, perfect blend of latest modernity and elegance. 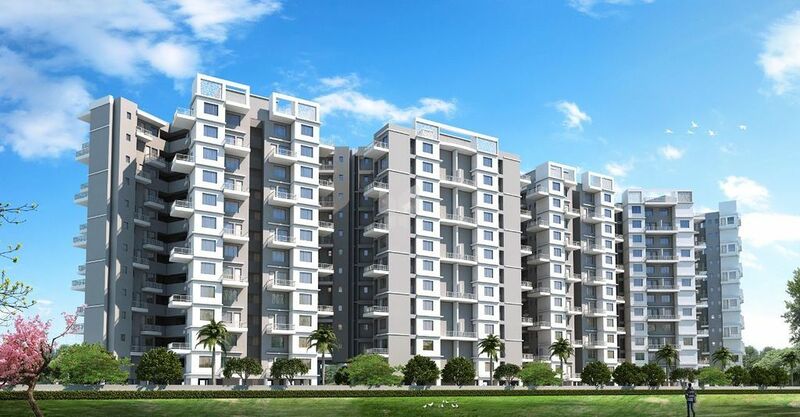 The project consists of the apartment for sale In Chikhali at Pimpri Chinchwad, where 1BHK flats super built-up area size varies from 485 Sq ft to 501 Sq ft and the 2BHK flats super built-up area is 611 Sq ft to 825 Sq ft.
Kolosus Green City is located at one of the best locations to buy a home in Pune at Pimpri Chinchwad, It is located on the Pune-Nagpur highway where many small-scale industries are situated and provides employment opportunities, well connected by different modes of public and private transports. Schools, hospitals, College and daily needs are there in the proximity. Some of the amenities provided by Kolosus Green City are Gym, Tennis Court, Indoor Games, Video door Phone, Clubhouse, Parking, Children's Play Area. Earthquake resistant design RCC frame structure. Three track aluminium power coated sliding windows with mosquito nets and grill. Decorative main door with magnetic door stopper and solid PVC doors for WC and bathroom, master bedroom toilet. Concealed wiring with standard switches, telephone & cable point in living room.